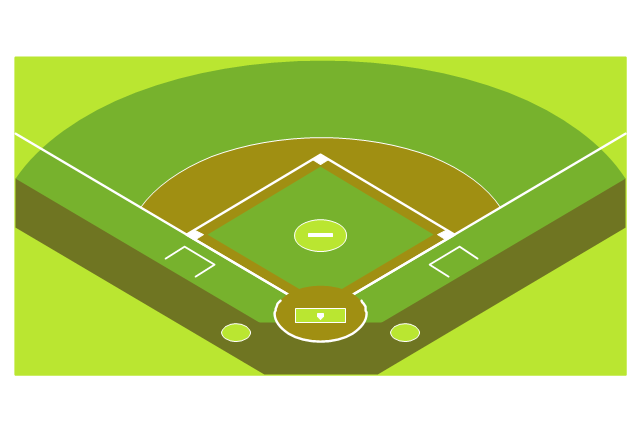 The vector stencils library "Baseball fields" contains 4 templates of baseball fields. 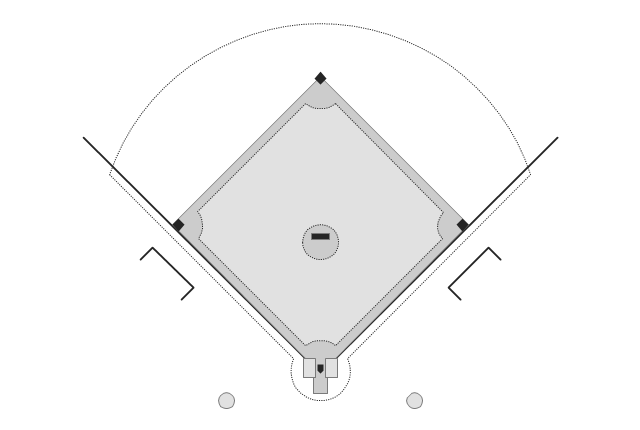 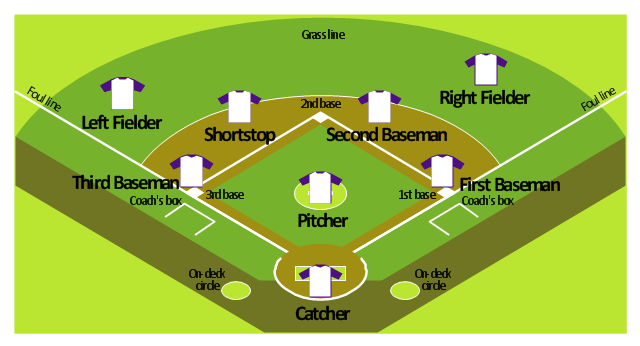 (1) The infield, containing the four bases, is for general defensive purposes bounded by the foul lines and within the grass line (see figure). 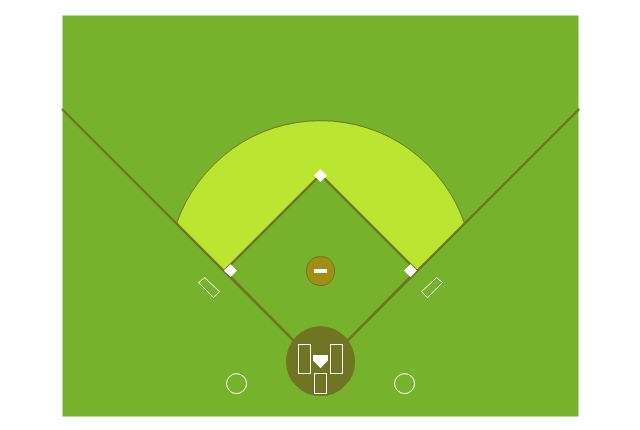 (2) The outfield is the grassed area beyond the infield grass line between the foul lines, and bounded by a wall or fence. 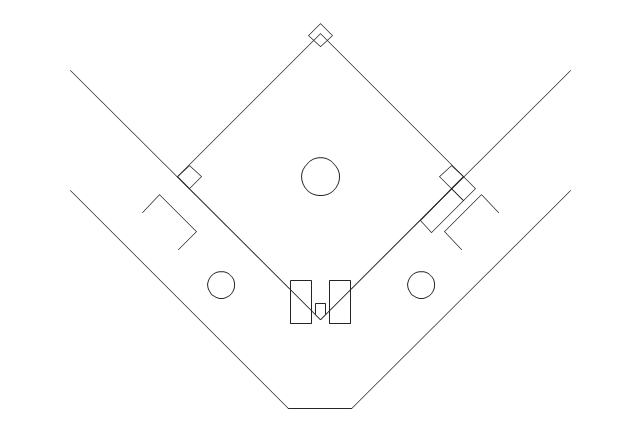 (3) Foul territory is the entire area outside the foul lines. 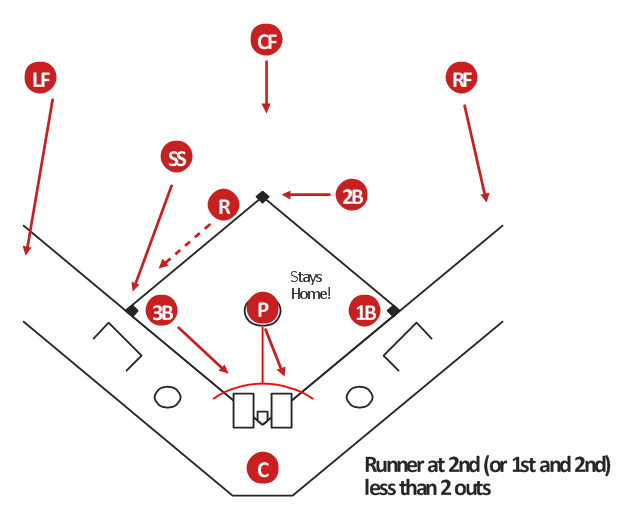 "Basic Bunt Coverage #2: Runner at 2nd.